Rely on SyntecOptics.com for your Molded Plastic Optics needs. Our talented team has experience in molding both opaque and optical polymers. Syntec Optics offers deep expertise in both molding opaque and optical polymers. 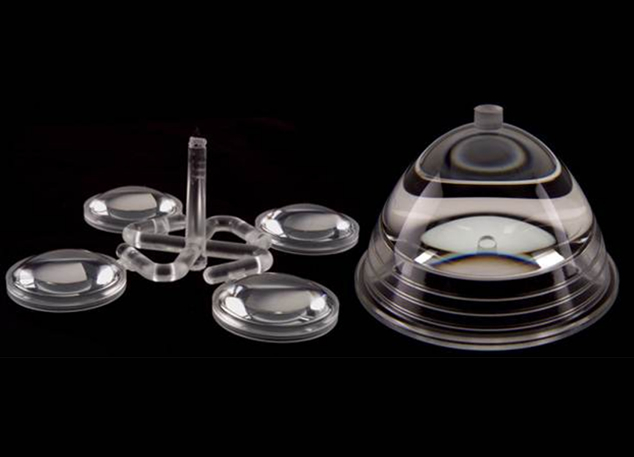 For over ten years, we have been manufacturing complex custom optical components, such as plastic plano prisms and additional plastic optics and combining them as required to form complete opto-electronic solutions. All services are performed in house for the highest precision results in the shortest possible time. This seamless integration is our hallmark. If timelines are critical to your product development success, we can provide injected molded plastic optics and optical polymers in as little as three weeks. 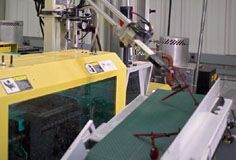 Our breadth of knowledge and capabilities means we can speed cycle times and help reduce total costs as much as 5X by recommending the right approach and moving easily between diamond-turned and molded plastic optics solutions. 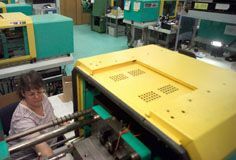 By the time you’re ready to manufacture, we have identified and resolved potential production issues and put in place custom metrology fixtures for testing quality to the exact levels you need and some of the tightest tolerances in the industry.